A beautiful tranquility prevails high above the sea. The soft sounds, the intense smells and the enchanting tranquility that surrounds it, cause an explosion of your emotions and imagination. 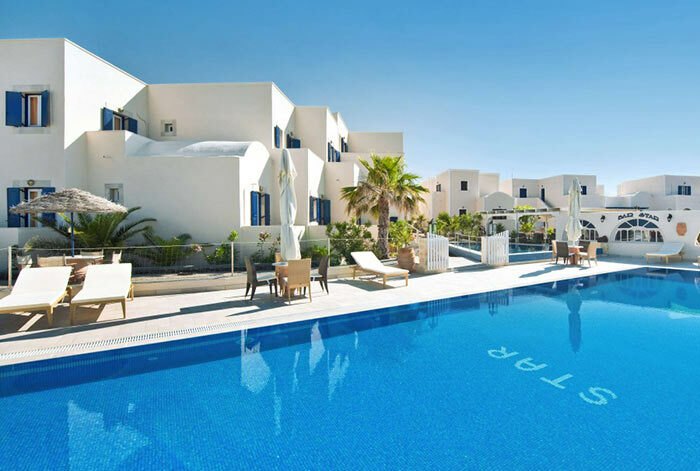 Welcome to the Star Hotel in the magical Island of Santorini! 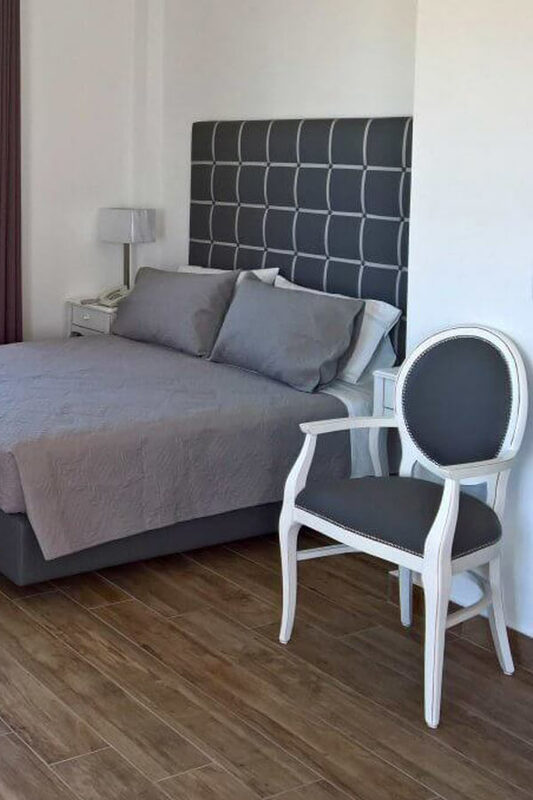 The Star Hotel in Santorini includes 50 rooms, 8 suites and 3 studios, fully equipped with air conditioning, fridge, TV and telephone. 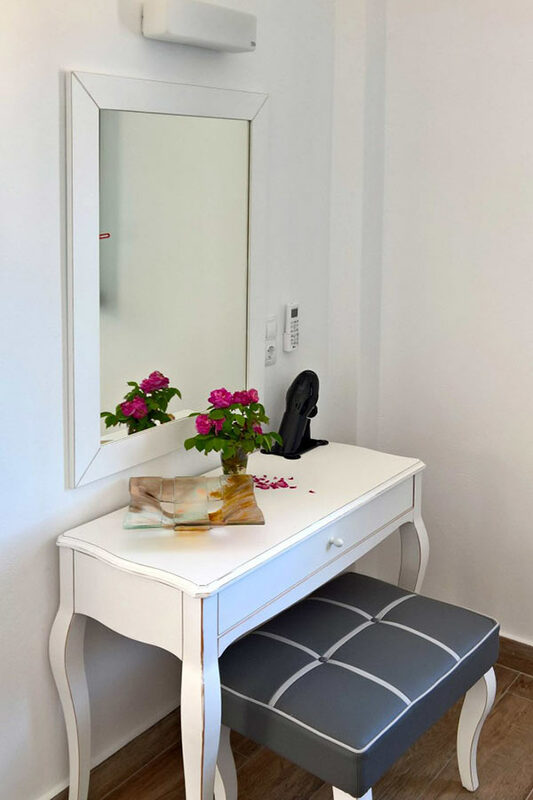 Meet a welcoming reception, a lounge, a bar and a room where you can enjoy your breakfast. 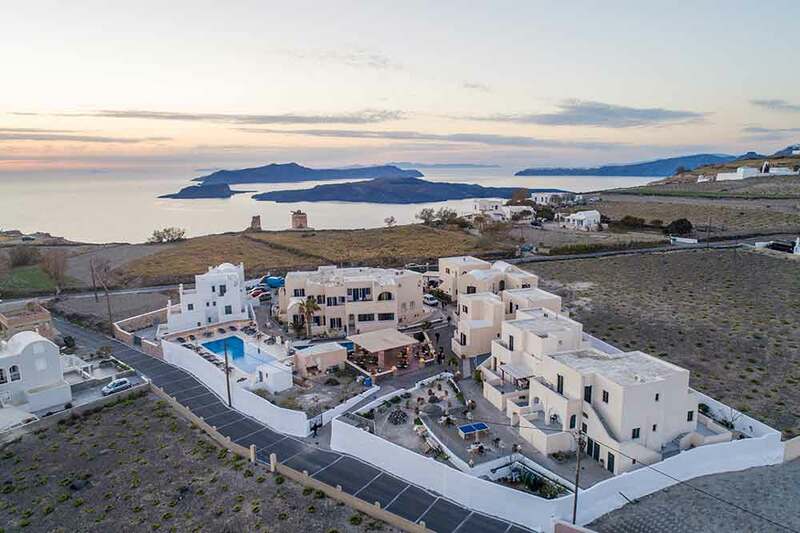 Just 50 meters from the Caldera, Star Hotel offers a magnificent panoramic view of the volcano and the famous Santorini sunset. Santorini is one of the most beautiful and famous Greek islands on the Cyclades group in the Aegean Sea. One of the most beautiful and tranquil traditional villages of Santorini is that of Megalohori.